I’m not going to claim the first to make a gingerbread smoothie. There are many recipes out there. However, that’s not going to stop me from sharing my version with you! Why? Because there are a lot of crazy ones out there. Many use protein powder, some add veggies, others use actual gingerbread cookies. Some of those things are good add ins, some are not so healthy, and some just turn that smoothie into a milkshake instead! I like to keep my smoothies relatively simple. 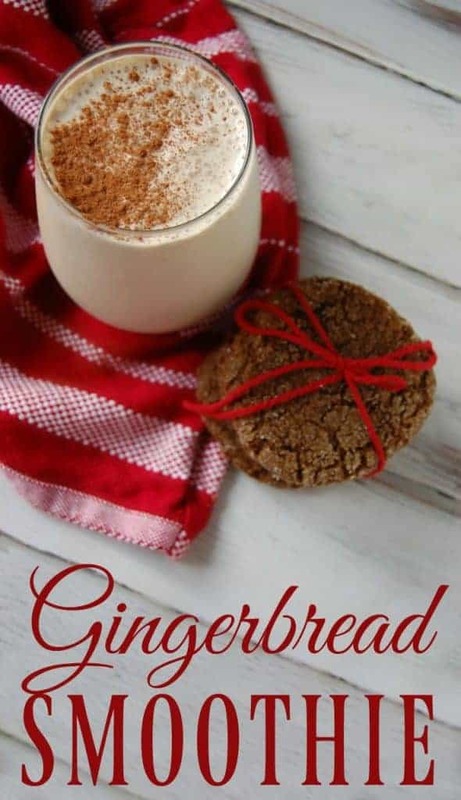 It shouldn’t be much of a surprise that I love all things gingerbread. I’ve make gingerbread bath bombs and gingerbread sugar scrubs so why not actually make something edible in the gingerbread department? That’s what a normal sane person would do right? Why gingerbread smoothies? Gingerbread tastes amazing for one thing! It’s perfect for the holiday season, although that wouldn’t stop me from having this smoothie in the summer time! 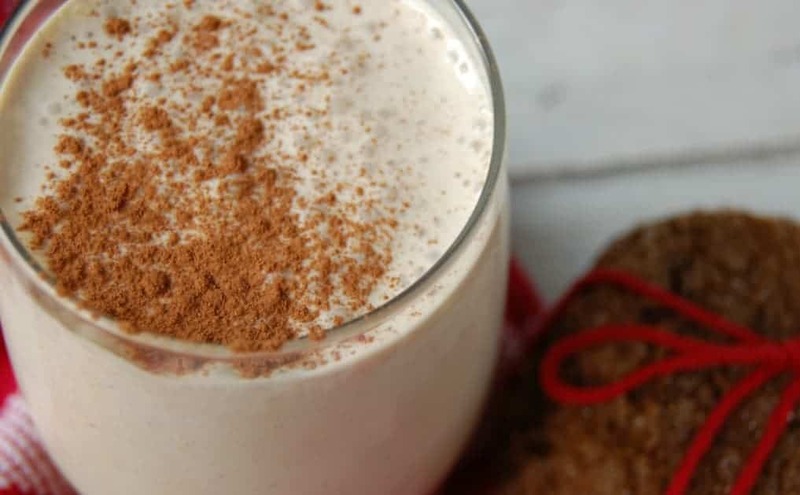 This gingerbread smoothie is also great at boosting iron levels as it has molasses in it! Molasses is a great source of iron – generally around 15% of your daily value. As if that is not enough, molasses is also a good source of calcium, copper, manganese, potassium, and magnesium! So why wouldn’t you want to add it to smoothies? Just make sure you get the organic, unsulphured stuff, like this molasses brand. My gingerbread smoothie has basic ingredients with the exception of the stevia. I prefer to use stevia as it gives you that sweetness without all the calories and other reasons to avoid sugar. However, you could leave out the stevia (not as yummy) or you could choose another sweetener. When I make this smoothie for my kids, I leave the stevia out but I have a major sweet tooth so I add it in for my smoothies. If you want a alternate sweetener than you could do a tablespoon or so of maple syrup! Place all ingredients into blend and blend away! Just made it and it's so yummy!